THANK YOU for visiting our site. Please have a look at some of the services we offer. 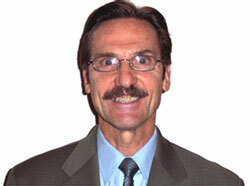 Tom started his consulting business after spending 35 years with USDA’s, Food Safety and Inspection Service. TJH Consulting, LLC has been providing consulting services to the food industry since 2002. The company is particularly effective providing consulting services dealing with developing Food Safety Systems including HACCP Plans, SSOP’s, Prerequisite Programs, Sampling Programs, Forms, etc. In addition, consultants are certified in the following Global Food Safety Initiative formats: SQF, BRC, ISO 22000 and PrimusGFS. The firm also specializes in criminal, civil and administrative cases; 30 and 3 day letters, NOIE’s, Food Safety Assessments (FSA's), SSOP/HACCP system failures, inspection issues, appeal of non-compliance records, product recalls, foreign country enforcement equivalency reviews, expert witness and SSOP/HACCP training. Tom has been to sixty seven (67) countries including Mexico, Colombia, Serbia/Montenegro, Azerbaijan, Macedonia, and France providing training and consulting services to government officials and the food industry. His company works with some of the largest law firms in the country, especially those specializing in violations involving food. The company also offers a training course entitled “SITUATIONAL PLANNING”dealing with risk management and personal safety. The copyrighted course teaches four principles: threat assessment, position of advantage, response, and evaluation. Upon completion of the course, government and business officials have the tools to develop a written plan of action prior to dealing with a potentially dangerous assignment or a potentially dangerous individual. Since 2002, TJH Consulting, LLC has taught Situational Planning to 2,500 Consumer Safety Officers with the U.S. Food and Drug Administration. Teaching Basic and Advanced HACCP courses. Prepare SSOP plans/HACCP plans/SPS programs/Generic E coli, Salmonella, Listeria sampling programs/GMP’s/Pre-requisite programs, etc. Appeal of non-compliance records (N.R’s). Conducting independent third party SSOP/HACCP audits. Responding to FSIS 3 day and 30 day letters. Notices of Intended Enforcement Action (NOIE). Criminal, civil and administrative cases. Sanitary and Phyto-Sanitary (SPS) monitoring and enforcement systems and practices. Development of inspection and enforcement programs for state and foreign governments. HACCP Verification and Validation Audits. HACCP Plan Audits and Re-assessments. Specialize in designing and implementing re-inspection and de-contamination programs for rodent infestations. Teaching courses on personal safety for government regulators. Preparation for SQF, BRC, PrimusGFS, and ISO 22000 audits.